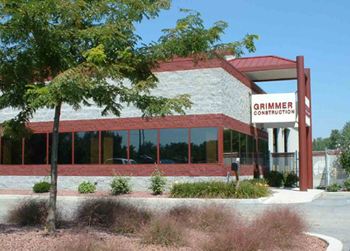 Founded in 1983 by Greg G. Grimmer Sr., currently Chairman of the Corporation, Grimmer Construction has been one of Northwest Indiana’s highest quality civil general contractors for over 30 years. Greg established a company with profound standards of quality and integrity. His result is a construction firm standing with the highest reputation in the area. Greg’s son Mark Grimmer, now President, has grown the company into one of the largest site-work contractors in Northwest Indiana. Mark has maintained his father’s drive for excellence in contracting, establishing Grimmer Construction, Inc. as an industry leader. We work in all sectors, including municipal, state, federal, commercial, residential, and industrial construction. Employing the industries best skilled workers, we take pride in our reputation for honesty and integrity. Our staff is committed to keeping the client’s needs as priority. We work with community and industry leaders to complete projects on-time, with maximum cost savings, and with the highest safety standards. Our company’s mission is to provide the absolute best construction services to our customers.